Don’t Forget to Stay Safe When Driving Around Schools! | The Auto Source, Inc.
August 20th, 2016 by The Auto Source, Inc.
We are all excited for school to be starting up again! How about you? Do you have all of your supplies yet? How about one of the best used vehicles for back to school? Do you have your schedule and game plan figured out? That last one usually gets forgotten until the morning of the first day, and it can create a lot of chaos. Let us help you out by offering a reminder of Orlando driving safety near schools! 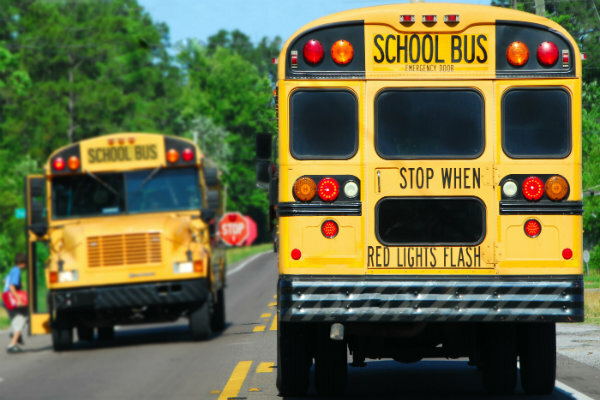 When Should I Stop for School Buses? Whenever a school bus stops and releases its stop-sign arm, you must stop at least 20 feet away in order to allow students to safely board or depart. Once the driver pulls the arm back in or gives you the signal, you are allowed to continue on your way. Most areas will allow regular speed limits, but will drop down to 15 miles per hour when children are present. Please watch for signs and keep a sharp eye out for any students who may be playing extremely close to the street. Check Out Our Current Inventory of Used Vehicles! What are the Rules for Picking Up and Dropping Off My Children? In order to make the pick-up/drop-off process simple and efficient for everyone, cooperation and courtesy is necessary. Wait your turn and keep your “good-byes” and “I love yous” short and sweet. If you see other parents you know, or even your children’s teachers, do not stop to chat with them. A quick hello is fine, but save the conversations for a more appropriate time. What are the Best Vehicles to Drive in Florida? Click to Find Out! Come to The Auto Source with Any Questions! If you have any questions about safe driving and etiquette, please feel free to contact us or stop in at our dealership! Thank you for your cooperation during this exciting time and we want to wish the best of luck to all of the students and teachers in Central Florida! 0 comment(s) so far on Don’t Forget to Stay Safe When Driving Around Schools!